Columbus Ohio, 2045. The world has drastically changed, and people now live their lives online in the OASIS. When Halliday (Mark Rylance) the founder and creator of the OASIS dies, he leaves the users of his creation a challenge; find the three Easter Eggs he has hidden in the OASIS and take control of the entire virtual world. The hunt has been going on for several years, but when egg hunter Wade (Tye Sheridan) – also known as Parzival – uses his extensive research into Halliday and all of his pop culture obsessions to find the first egg, the race to the finish line truly begins. Based on the book of the same name by Ernest Cline, Ready Player One is a film that pays strong homage to the films, books, games and music of the 1980s, while still managing to be its own fun, frenetic adventure. The cast is led by Tye Sheridan as Wade / Parzival, a young kid whose life offline is less than ideal, and so finds himself caught up in the hunt for Halliday’s prize with the hope of creating a better life for himself. Sheridan makes Wade likeable, but it is through the eyes of rest of the cast of characters that Wade truly seems to be the hero that the OASIS deserves. Olivia Cooke takes on the role of Art3mis; rival hunter and love interest of the film, and Mark Rylance rounds out the central trio, making Halliday obsessive, sweet and somewhere on the spectrum. It is a powerhouse performance from Rylance, and without his gentle nerdery, the film could feel as though it is a cunning ploy, rather than a life or death adventure, just like the greatest movies of the 1980s. Ben Mendelsohn brings the evil as Sorrento, T.J. Miller plays I-R0k, a new character created for the film, and our own Susan Lynch makes an appearance as Wade’s aunt Alice. Written for the screen by Zak Penn and novelist Ernest Cline, the film deviates wildly from the book in places, while still feeling as though it is part of the same world that readers fell in love with. The pop culture references come thick and fast, and it is going to take multiple viewings to catch them all, but that is the joy of Ready Player One; come for the references and stay for the wild, over the top adventure. There are times when it feels as though there is almost too much going on, but this is when the relationships between the characters saves the film from dissolving into a web of references to the past, without ever becoming its own thing. If you are going to make a film celebrating the best of the 1980s, and the nostalgia that comes with the territory, then Steven Spielberg is the absolute right man for the job. Capturing the feel of The Goonies, Back to the Future and E.T. with all the nostalgia and excitement of Stranger Things, Spielberg makes Ready Player one a reference to the past, while also managing to make it an exhilarating thrill ride in its own right. There are times, however, when the breakneck pace and the oceans of references become a little too much, but this is when Spielberg pumps the brakes and reminds audiences of the story that we are here to see; the story of Wade and his plucky pals. That said, the virtual world feels a little more commanding than the “real” one, and this is an area where the film struggles to find the balance. In all, Ready Player One is about as fun, fast and action packed as fans could hope for. 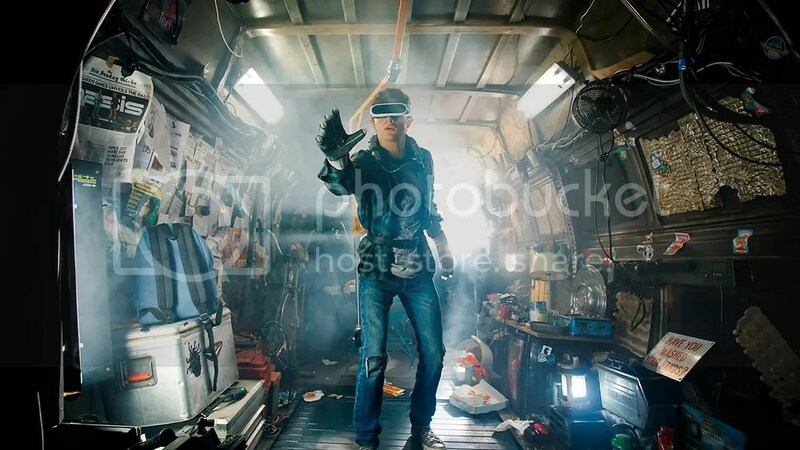 The deviations from the book make cinematic sense, the characters are rounded enough for us to root for them, and slight manic pacing aside, Ready Player One emerges from the piles of references to the past that it throws at the audience a fully realised story on its own, although younger viewers may find themselves wondering what all the fuss is about.